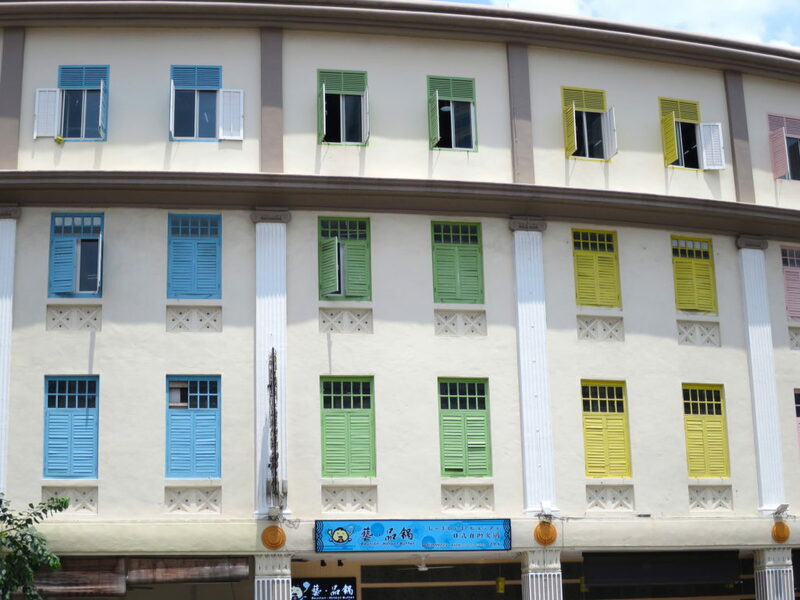 WHAT ATTRACTS YOUR ATTENTION is the building’s wooden shutters in pastel and the four-storey facade in cream that curves gently away from the main thoroughfare of Jalan Besar. These are not the original colours and is not the original elevation when architects Westerhout and Osman built Allenby House in 1928. 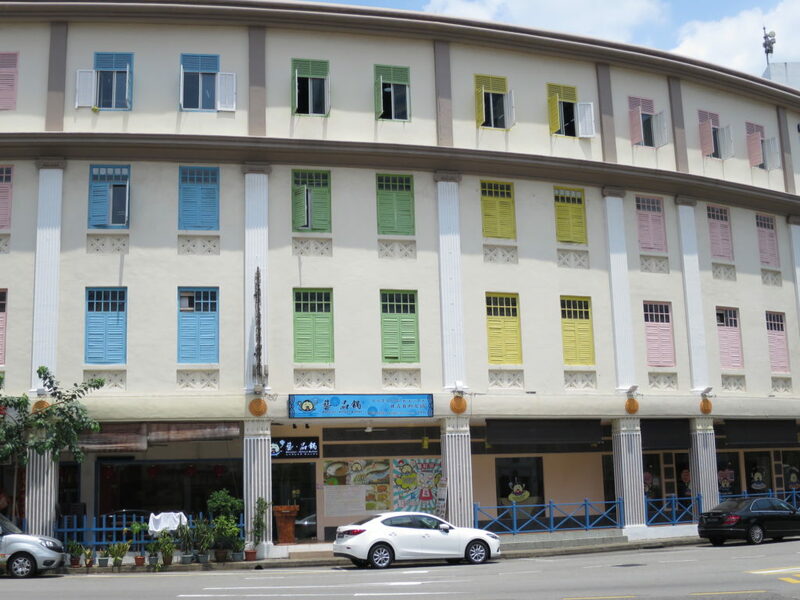 It was originally a 3-storey shophouse with a Neoclassical style – built for the owner known only by the name Chittiar. 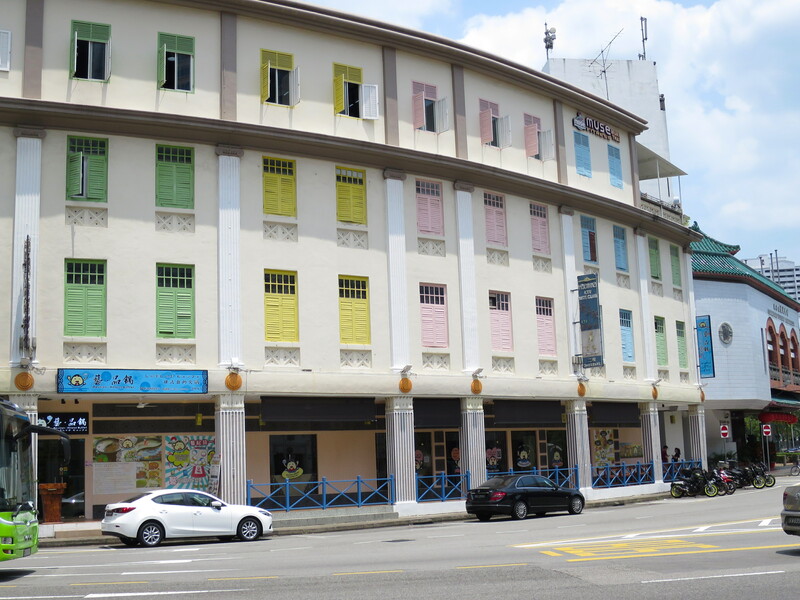 You can see the European elements in the form of Classical details from colonial architecture typical of Singapore shophouse design during this time frame – Doric pilaster at the ground floor, Ionic pilaster for the floor above and Corinthian pilaster for the top storey. These were structures and embellishments to show off your status and wealth. The higher, the better. The more decorative, the better. The Classical Corinthian pillaster is gone when a fourth storey was added later as a new Georgian scheme was to be the prevailing design of the building. 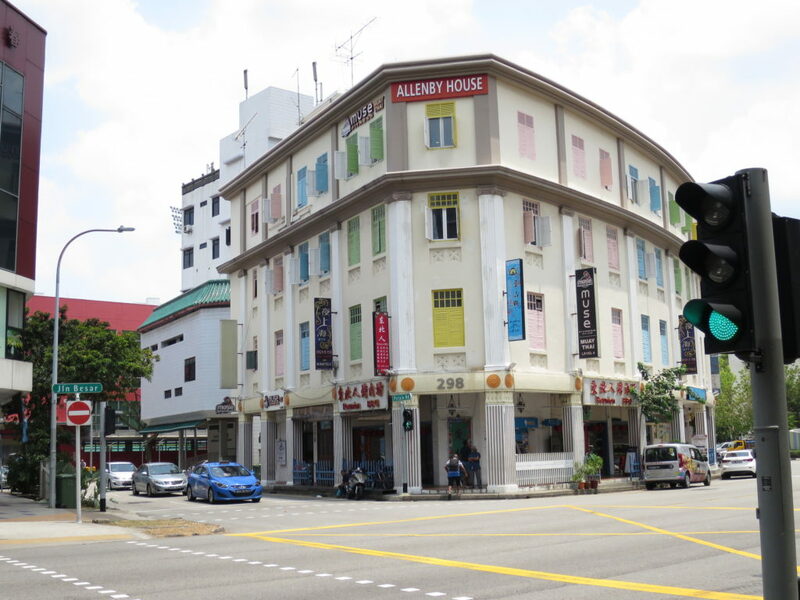 Allenby House is the first 4-storey building along Jalan Besar as well as the first lodging house in the district.